Buy Now for instant download access. After purchase you will receive an e-mail with your account information. Please turn off your SPAM filter or check your junkmail to ensure you receive the e-mail right away. You do not need to be a PayPal member or signup to make this purchase. All major credit cards accepted. *Business's keep your receipt as your purchase is tax deductible. All purchases are made in accordance with our Customer Support/User Agreement. By purchasing you are acknowledging acceptance of our Customer Support Agreement. 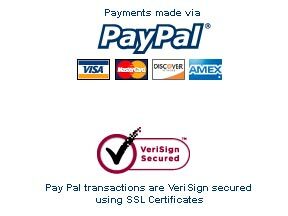 We are 100% PayPal verified so you have the peace of mind, knowing none of your personal information including your credit card never reaches us.